As the year draws to a close, many of us are engaging in year-end tax planning for ourselves and our businesses. Since homeowners associations are almost always non-profits, HOA board members and managers may think that tax planning for HOAs is not necessary. While most HOAs won’t owe taxes, there are still tax-related issues to be aware of this time of year. HOAs file Form 1120-H, the U.S. Income Tax Return for Homeowners Associations, which is a fairly simple, one-page return designed to determine if the HOA has earned non-exempt income and related expenses during the tax year. Here’s a link to the form and here’s a link to the instructions. It is important that Form 1120-H be filed each year in order to claim the special tax-exempt status accorded by the Internal Revenue Code to HOAs. The return is due by March 15 of each year but can be extended, although of course taxes are calculated on a calendar year basis in most cases – so you must act before December 31 if you anticipate any tax issues. While most HOAs don’t have any taxes due because all their income is considered “exempt”, any non-exempt income is taxed at a rate of 30%, which is very high. Worse, significant non-exempt income in a particular year, especially if repeated over multiple years, can jeopardize the HOA’s non-profit status, so HOAs must be very careful about earning income which could be considered non-exempt. Exempt function income is income generated from membership dues, fees and assessments, including interest charged to members and late fees. This type of income is generally tax exempt. Non-exempt function income includes income generated from investment interest and dividends, vending machines, and any income received from non-members, including rents received from non-members for use of HOA facilities. This type of income is generally taxable. Generally, 60% of an HOA’s income and 90% of its expenses must be from or for exempt purposes, or it can lose its non-profit status with the IRS. If this is a concern for your HOA in a particular year, consider filing a regular Form 1120, the U.S. Corporation Income Tax Return, instead of an 1120-H. This form takes into account all of the HOA’s sources of income and expenses, but may result in less tax, because the tax brackets start at 15% for the first $50,000 of income rather than a flat rate of 30%. The issue of non-exempt income can arise when an HOA receives insurance or condemnation (also known as eminent domain) proceeds – referred to generally as “involuntary conversions” in IRS parlance. Involuntary conversion proceeds are typically considered non-exempt income, and it is usually important that they be spent on specific HOA expenses related to the repair, replacement or acquisition of common areas or improvements in order to ensure that the 90% rule mentioned above is met. If your HOA is due to receive involuntary conversion proceeds, it is very important to consult with your tax and legal advisors BEFORE receiving the money regarding the timeline for spending the money to avoid taxes. The usual replacement period is two years beginning the first day of the first tax year after the year when the proceeds are received. In order to qualify for this deferral, the HOA must file an election with its tax return the year the proceeds are received. It is often wise to postpone receipt of the proceeds until after January 1 if the proceeds are due to be received toward the end of the year to allow more time to spend them. Be careful if your replacement period ends in the current year. Involuntary conversion proceeds should never be refunded to the homeowners individually. The Internal Revenue Code and most state laws, including North Carolina’s, prohibit the income of a non-profit from being received by any member, officer or director of the non-profit. If the proceeds are not able to be spent on repairs or improvements, use them to reduce the assessments for coming years rather than issuing refunds to the members. HOAs are required to issue 1099s to their vendors. These are required to be sent out by January 31stof each year and are required to be mailed to the IRS by February 28theach year. The most common vendors for HOAs are repairs and maintenance services, attorneys and management companies. We recommend HOAs get a W-9 from vendors with the required information so that 1099s can be prepared and mailed out on time. Be sure your HOA understands who is responsible for preparing and filing your taxes. For simple HOAs with management companies, the management company may handle this and may not even ask the board of directors to review it before filing. More complex HOAs should be more directly involved with the tax preparation process. In any event, although not absolutely necessary, it is wise for the board of directors to review and approve the Form 1120-H and any state tax forms before they are filed, just to avoid errors and be sure the management company is being given proper oversight. If there has been significant non-exempt income, discussions with your tax professional should have occurred long before the end of the year.  All HOAs should have a good accounting firm as a part of their team. We use Gordon, Keeter & Co. in Concord, North Carolina. Let’s not forget property taxes. In most states, common areas are not subject to property taxes, or are taxed at a de minimus value. In North Carolina, a filing must be made with the local tax assessor to obtain this exemption. (It only needs to be filed once and is good forever thereafter.) Most tax assessors will accept this filing up to June 30, which is the end of the fiscal year for local governments in North Carolina, but typically will not apply the exemption retroactively. So if there is common area to be turned over to your HOA, be aware that taxes may be due on it for the entire year in which it is turned over, and that your HOA must file with your local assessor to be sure the new common area is deemed exempt for future years. Check with you local tax office well ahead of time if you are in this boat. Tax assessors are growing more aggressive in assessing HOAs for back property taxes on common areas or foreclosed homes owned by the HOA. In the past, many tax assessors might have foreclosed their tax liens on such property, but they did not typically seek payment directly from the HOA. Tax laws in North Carolina state that any future owner of property is personally liable for back taxes on that property. Tax assessors can attach the HOA’s bank accounts without any requirement for due process. So be careful in this situation, especially if your HOA is considering taking title via foreclosure to a home which has significant past-due property taxes. I hope this tax information is helpful to your HOA as you wind down the year. Contact us if we can assist your HOA with any year-end issues. Thank you to CPA Ladoska Keeter at Gordon, Keeter & Co. for her assistance with this post. Best holiday wishes from all of us here at Moretz & Skufca!